With the reduced stray-light in the monochromator, AQ6370C achieves ultra-high dynamic range of typ. 78dB. This new specification provides stray-light suppression capability when High dynamic mode, usually taking longer measurement time, is not used. The AQ6370C contributes to shortening the measurement time with the high stray light suppression ratio. 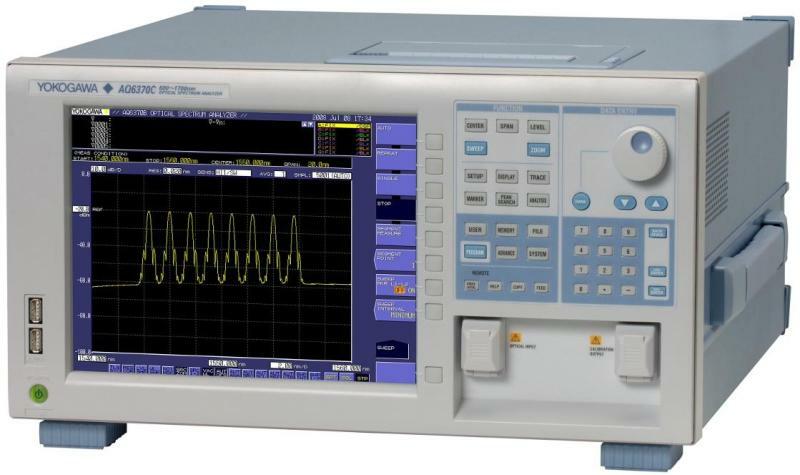 The AQ6370C can measure high power sources such as optical amplifiers and pump lasers for Raman amplifiers, and very weak optical signals as well. Measurement sensitivity can be chosen from seven categories according to test applications and measurement speed requirements. AQ6370C's low insertion loss for multimode fiber is also beneficial to maintain the excellent measurement efficiency. With an advanced monochromator, faster electrical circuits, and noise reduction techniques, the AQ6370C achieves fast measurement speed even when measuring a steep spectrum from DFB-LD or DWDM signals, or when measuring a low power signal from a broadband light source. 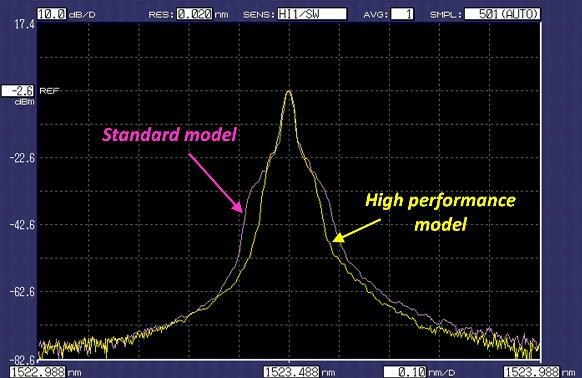 Ambient condition change, vibration and shock to an optical precision product, like an optical spectrum analyzer, will effect the optical components, and eventually degrade optical performance. 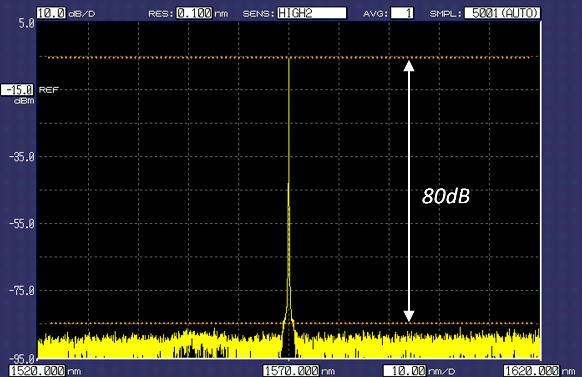 Using standard functions, AQ6370C can maintain its high optical performance within a couple of minutes so that you can quickly start a measurement. 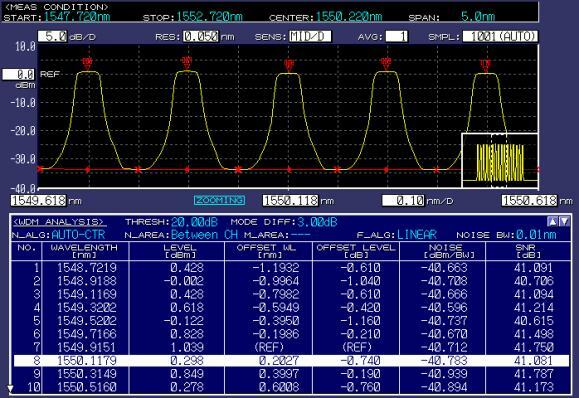 AQ6370C comes equipped with a wavelength reference source for the wavelength calibration and optical alignment. AQ6370C's overall high performance can cover not only manufacturing of optical devices and optical transmission systems but also research and development, and a variety of other applications. 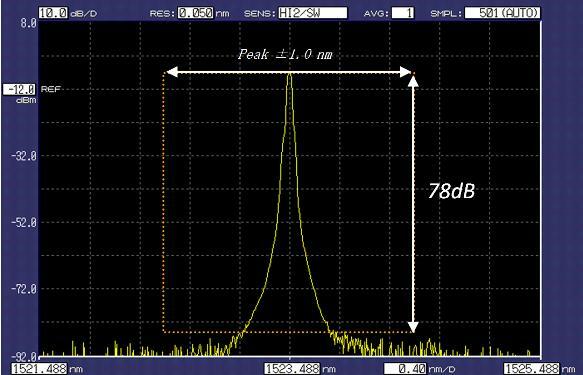 AQ6370C's wide close-in dynamic range allows accurate OSNR measurement of DWDM transmission systems (up to 50 GHz spacing). 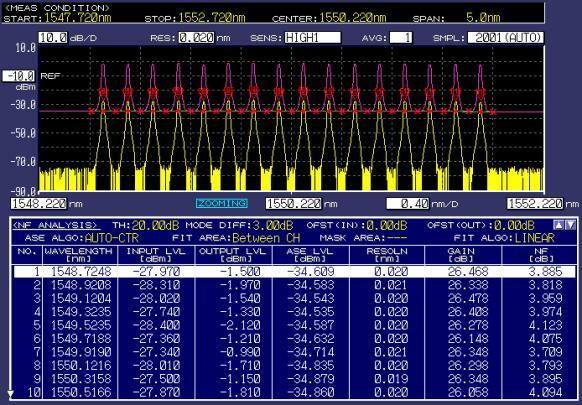 The built-in WDM analysis function analyzes the measured waveform and shows peak wavelength, peak level and OSNR of WDM signals up to 1024 channels simultaneously.